If in doubt, highlight it out. Pretty good motto to live by, right? 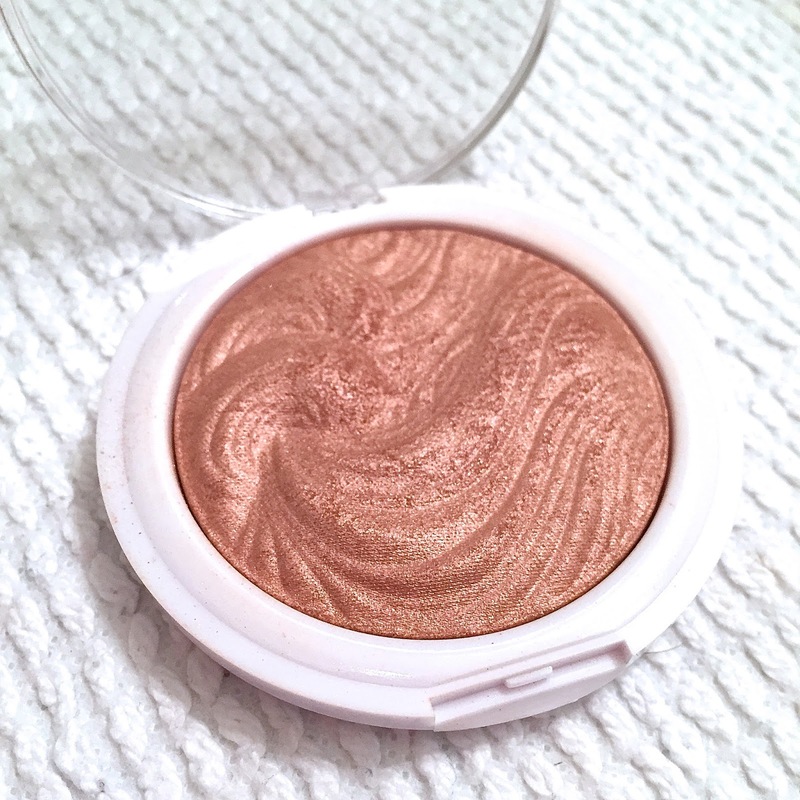 Good highlighters are pretty tricky to find on the high street (powdery, glittery, we’ve all been there in the struggle!) 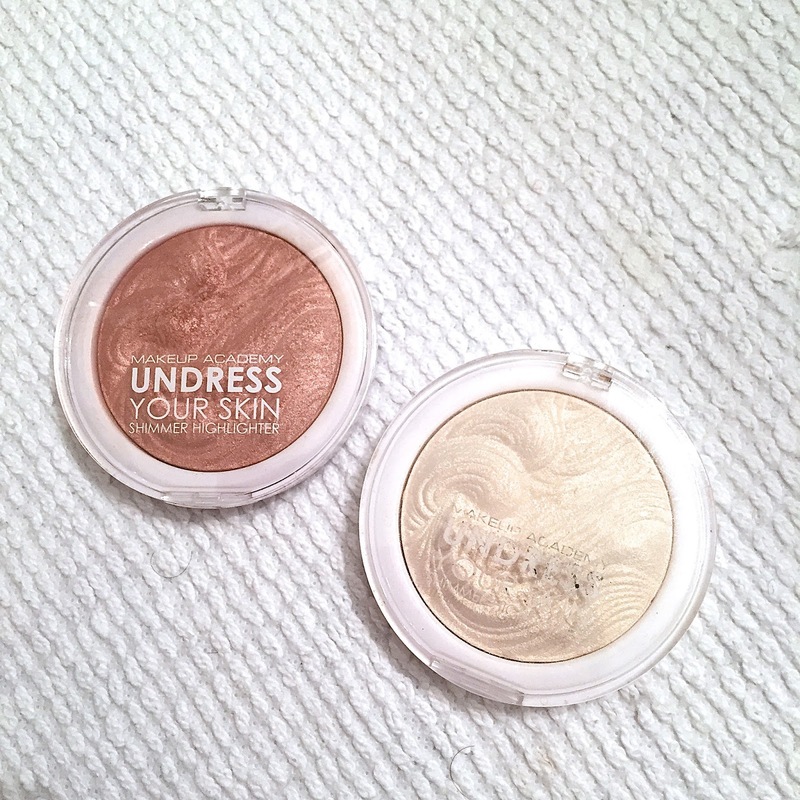 however I think I have found some winners, and at a bargain price too… These two beauties are by MUA, one of the cheapest make up brands around. I definitely wasn’t expecting anything amazing with these, but I was proved very wrong. The first shade in my collection is Opalescent Amber £3.00, which I’d describe as a bronze/dusky rose colour. This is definitely more a summer highlight (skin tone dependent) but also adds a really nice, subtle flush to the cheeks if used alone. The second shade is Iridescent Gold £3.00, which I wouldn’t necessarily class as a gold, more a subtle champagne colour. This is one I’ve been reaching for no matter what month, as it adds a lovely neutral sheen to the cheeks. 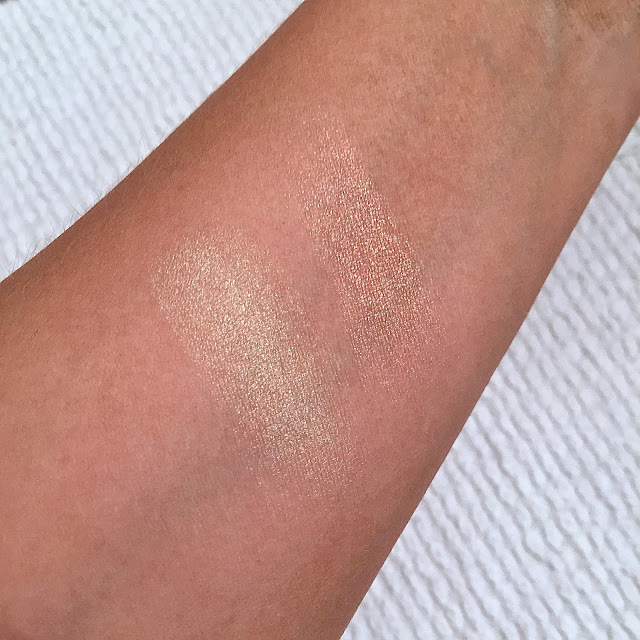 As you can see from the swatches, they aren’t glittery at all, which some cheaper highlighting powders can be, but also aren’t just a white powder with some shimmer thrown in. 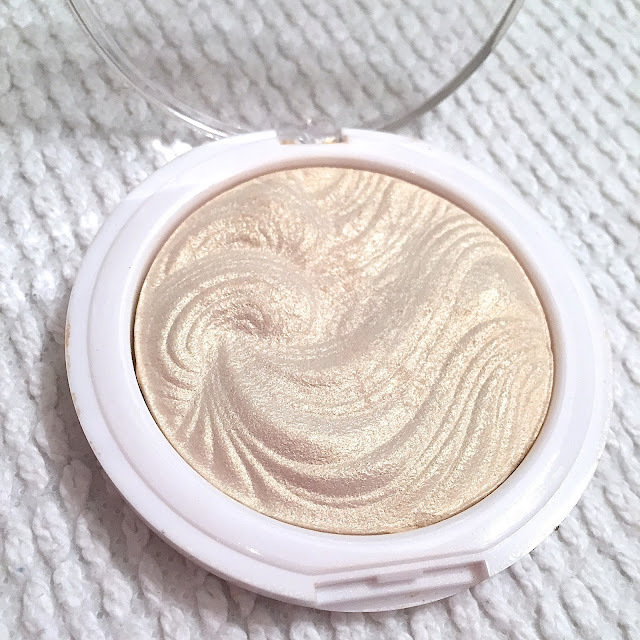 I’d describe it as adding more of a sheen to the skin which makes you look glowing (trying SO hard not to drop ‘giving you highlight on fleek’…). The colour pay off for these is pretty good considering the price, and you can definitely tell the difference between the different shades in the range (hands up who’s tried various shades of cheap product and they are basically all the same colour?). They are quite a buttery powder, which I was really surprised about – I was expecting to have to scrub my brush in them to pick up any product but a little goes a long way! They last really well on the cheeks and I never have to top up at all when I’m wearing them, which is a problem I have found with some cheaper highlights. Okay, so if you are a bit of a make up snob the packaging is definitely going to be a no-no for you, as it is plastic and can get a little dirty in your make up bag, however the detail on the highlighters is really pretty, and definitely something that makes it look more expensive that it is! Safe to say one of these is always in my make up bag, and I have even been reaching for it more than MAC Soft and Gentle! Come and find me on Twitter (@notintheseshoes) or on my blog and let me know your thoughts on these highlighters! Have you tried these or any of the other shades? Thank you very much Emily for having me on your blog and letting me be your #TuesdayTakeover! Make sure you head over to Rebecca's blog and leave a comment.